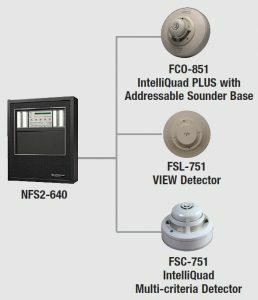 NOTIFIER’s IntelliQuad PLUS detector is a plug-in, addressable device that provides both fire and Carbon Monoxide (CO) detection. 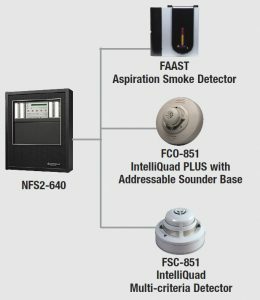 NOTIFIER’s IntelliQuad PLUS detector is a plug-in, addressable device that provides both fire and Carbon Monoxide (CO) detection. For fire, the detector combines four separate sensing elements in one unit (smoke, CO, infrared, and heat) to sense multiple components of a fire. This approach has enhanced sensitivity to real fire with heightened immunity to nuisance particulate. For CO, the detector’s electro-chemical sensing cell creates a separate signal for life safety CO detection. When used together with our addressable sounder base, you can replace as many as four separate devices for a cleaner and more efficient installation. The IntelliQuad PLUS is a combination photoelectric, thermal and infrared detector that has a separate carbon monoxide (CO) element for life safety CO detection. The IntelliQuad PLUS detector works with the NOTIFIER B200S sounder base. 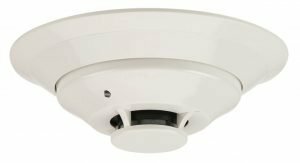 The B200S produces both Temporal 3 and Temporal 4 patterns for fire or CO notification. Together these devices create an integrated, functional, system. The IntelliQuad Advanced Multi-Criteria Fire Detector component uses four sensing elements for superior smoke detection and nuisance rejection. The CO detection is the same technology used in our CO1224T, which includes RealTest, the first field functional CO test fully compliant with NFPA 720- 2009 requirements. The B200S sounder base ties the system together with the appropriate temporal signals, and because it synchronizes with System Sensor A/V devices, it can act as part of the evacuation signal. 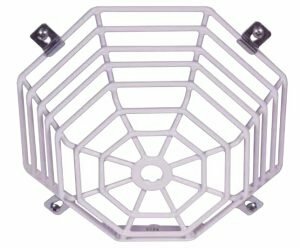 This multi-functional device eliminates the need for a separate CO detector, smoke detector, mini horn, monitor modules, and all of the associated wiring and junction boxes. There’s only one device to wire, one junction box, and one address – a much more efficient system. Unique ability to detect all four major elements of a fire. Uses only one address on the SLC. Separates audible signal for fire or CO alarm when used with the B200S base (B200SCOA in Canada). CO cell end-of-life warning and fault. The primary application is commercial sleeping spaces, including hotels/motels, managed-care facilities, hospitals, apartment buildings, college dormitories, and military housing. Other applications are rooms with or near fossil-fuel-burning appliances, such as laundry rooms, rooms with a gas fireplace, and mechanical rooms. 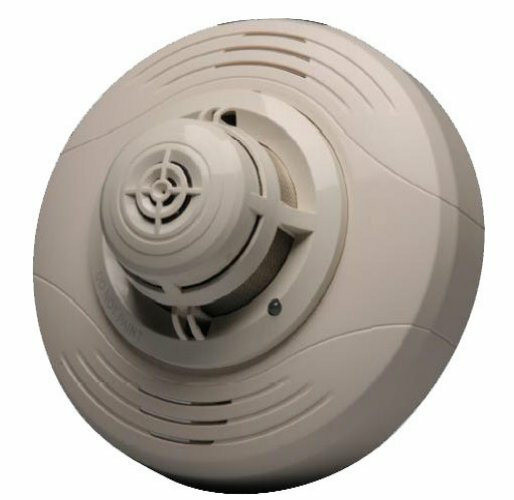 FCO-851: IntelliQuad PLUS Advanced Multi-Criteria Fire/CO Detector. FCO-851A: IntelliQuad PLUS Advanced Multi-Criteria Fire/CO Detector, ULC listed. B200S: Intelligent programmable sounder base. B200SCOA: Intelligent programmable sounder base, ULC listed. Includes CO detector markings in English and French.